This is a over view of the scene you can see the fire in a apartment window close to the entrance on first floor. The Nissan Diesel Aerial Platform with a snorkel from Bronto Skylifts. 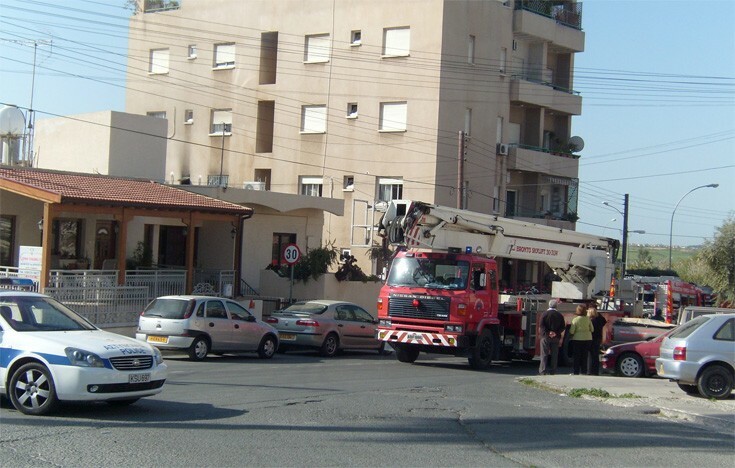 It is going out from Larnaca fire Station 2.